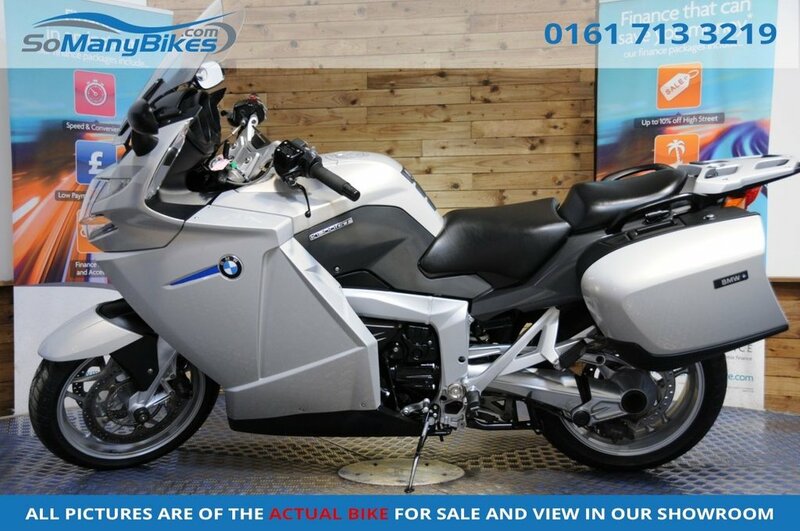 2007 (57) BMW K1200GT - Heated Seat - Heated Grips - Cruise control - ABS - Panniers - ASC - TPC - Here at SoManyBikes we are committed to bringing our customers the best finance deals. That is why we offer low rate finance with a low deposit and even poor credit finance! We carry a huge range of stock with competitive prices, full parts and labour warranty packages (that actually work!) and hassle-free, friendly service. Have your new bike delivered by our professional and affordable transport service - www.moveamotorbike.com. Visit www.somanybikes.com or call our friendly staff on 0161 713 3219 for help and advice on your next bike! Buy now pay next year subject to terms and conditions.